With the consistent focus on the ongoing market trends, we bring forth a unique range of Engine Transmission Mountings. The offered products are appreciated for their durability and fine finish. We design and develop an excellent range of transmission and engine mountings which are used to control torque and vibration in the drive line and reduce the vibration. Manufactured using premium quality raw material proper alignment of the linkage with standard shift and clutch linkages is also ensured. TVUPack Mini is the perfect solution for broadcasters, production crews, news agencies and independent videographers to capture live video and broadcast footage direct-to-Web or on air. At just two pounds, TVUPack Mini delivers a lightweight, portable solution for live video transmission with low latency. Our company has gained immense experience in the field of presenting Transmission Mount. 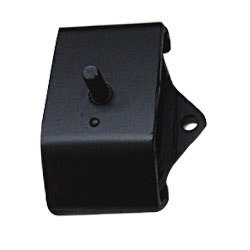 Offering transmission mounts 16/18 mm replacement parts for mercedes cars. Renowned manufacturer and supplier of transmission components presents a huge range of Transmission Mounts Blocks in a variety of options matching to all kinds of customers requirements. Being a quality focused organization, we are engaged in providing patrons with precision-engineered Transmission Mounts Blocks. We are providing the wide range of products to the client as per the requirements. We design and develop an excellent range of transmission and engine mountings which are used to control torque and vibration in the drive line and reduce the vibration. Manufactured using premium quality raw material proper alignment of the linkage with standard shift and clutch linkage is also ensured. 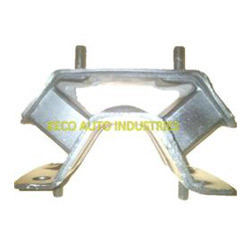 We are a leader in offering a best quality of Transmission Mounts to our clients. We design and develop an excellent range of transmission and engine mountings which are used to control torque and vibration in the drive line and reduce the vibration.